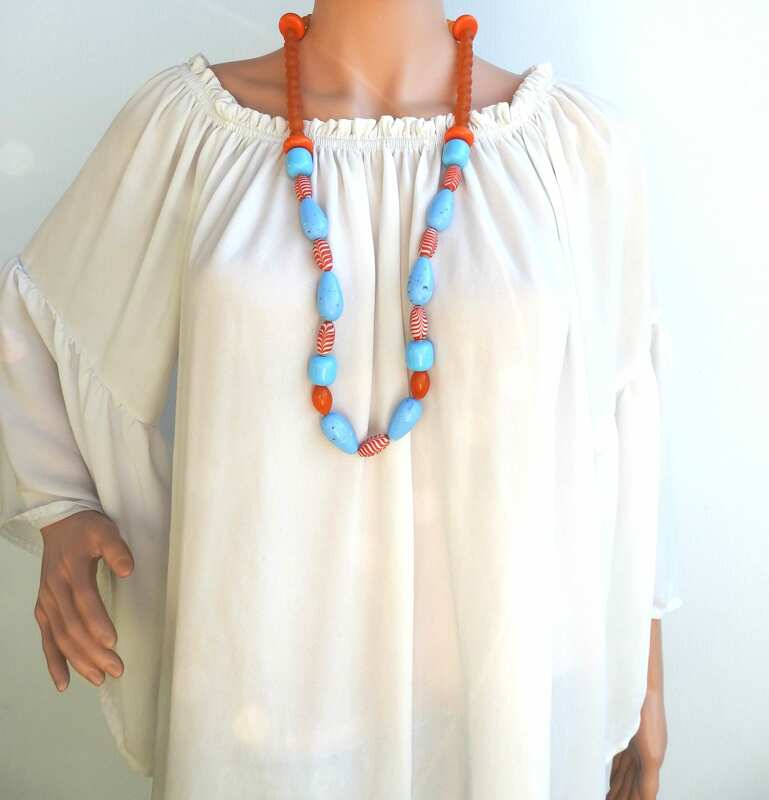 This big chunky necklace would make a great addition to your bohemian jewelry collection. 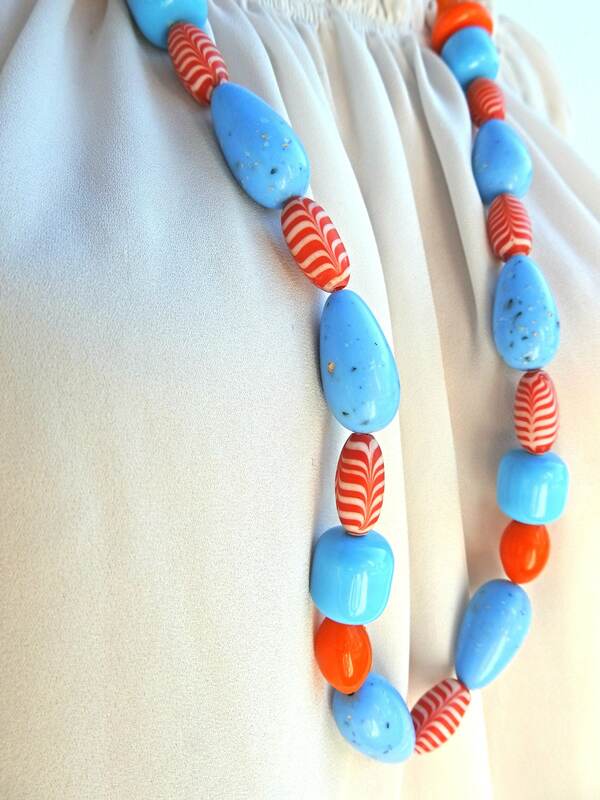 This big blue necklace will add a beautiful blend of hippie-inspired style to your wardrobe. 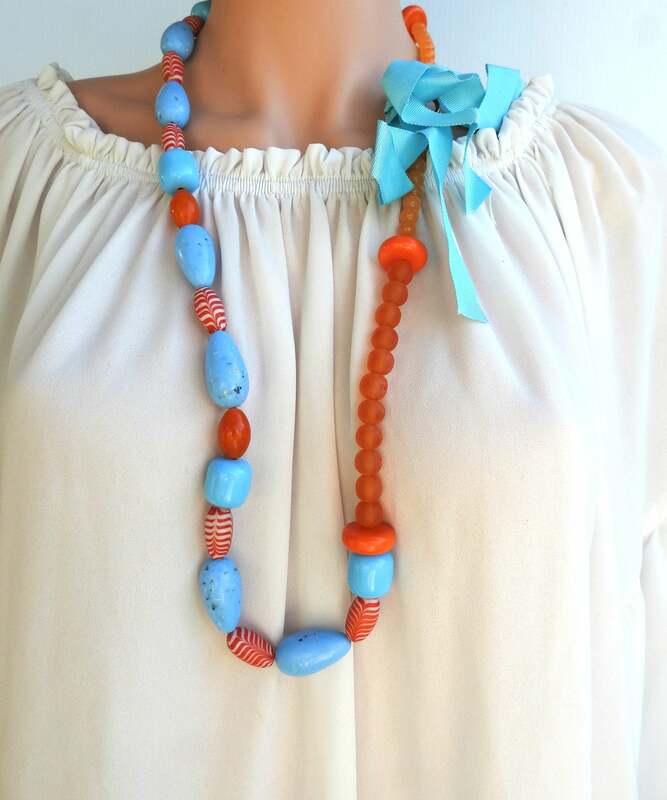 If you love colorful bright colors, this women necklace is just the accessory you’ve been looking for! Give your wardrobe a bold and dynamic makeover today! 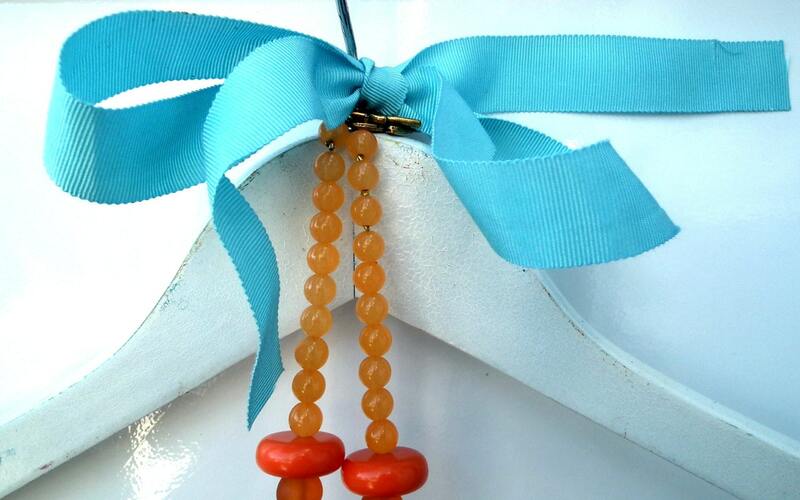 This necklace is skillfully created with a lovely assorted of orange and blue resin beads. The focal point is a beautiful sophisticated baby blue bow. 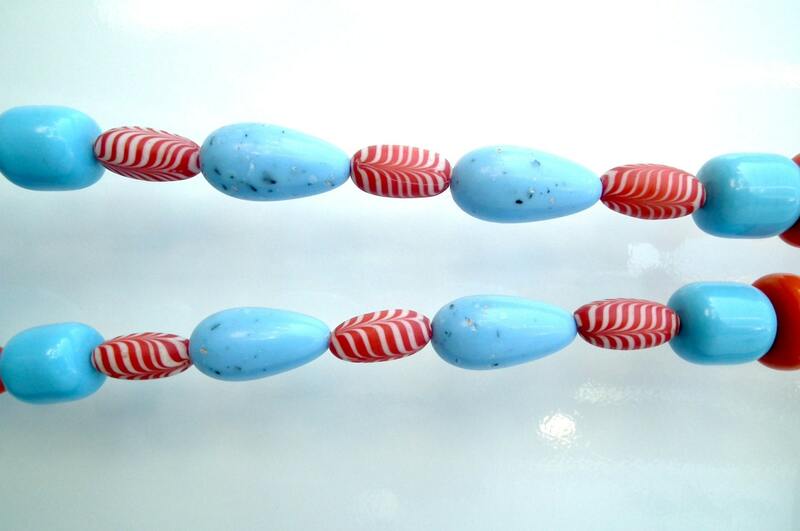 ~The bead necklace measures 18 inches. ~Handmade by ZazaofCanada in Canada. 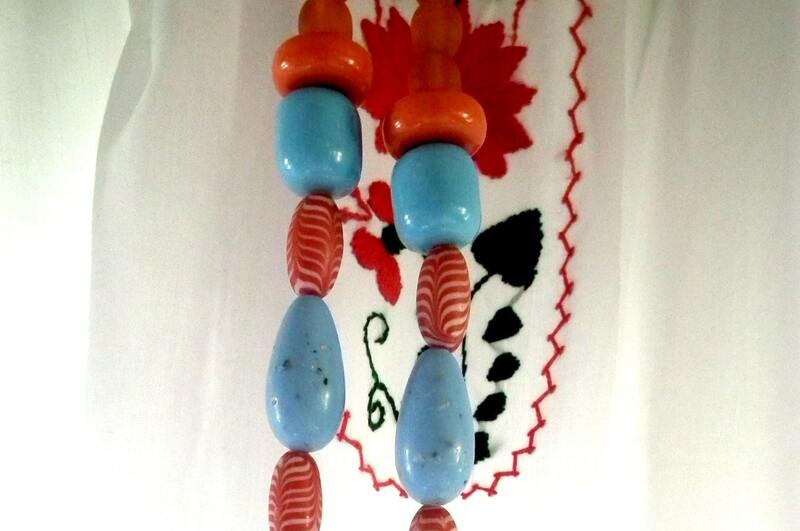 ~The necklace is made with orange persimmon, pastel blue and red beads. Vintage recycled and handmade items are so cool and unique! But we have to love them for their rarity and uniqueness! I do always write the vintage condition and vintage and handmade have always small charming defects. To USA, Australia, Japan and Europe: delivery time varies by country, but I expect international packages to be delivered from 5 to 10 business days. To Mexico, China, Russia: please do ask me if you have some concern but I expect international packages to be delivered from 7 to 15 business days. I offer combined shipping, although the price is dependent on weight. 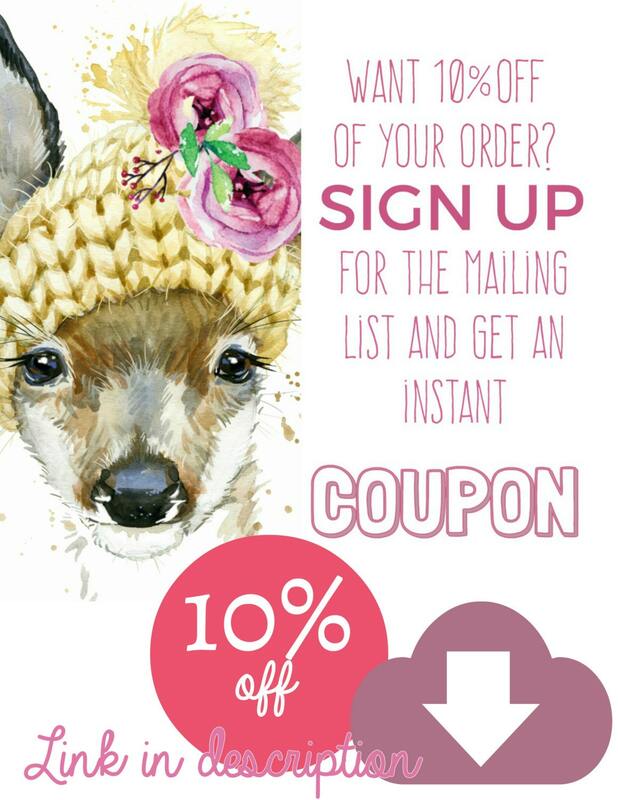 If you would like to combine shipping, please, please, please CONTACT ME BEFORE PAYMENT IS MADE. 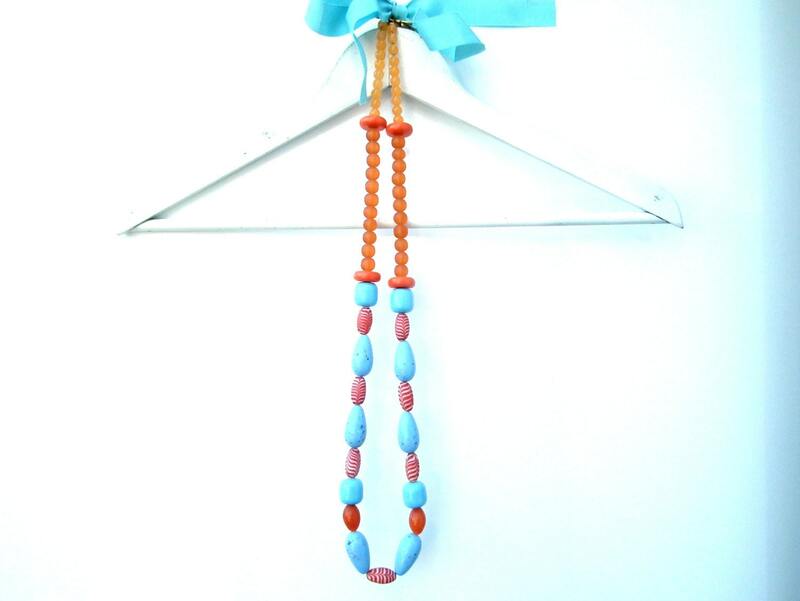 Thank you so much for looking at this boho-chic big chunky necklace!